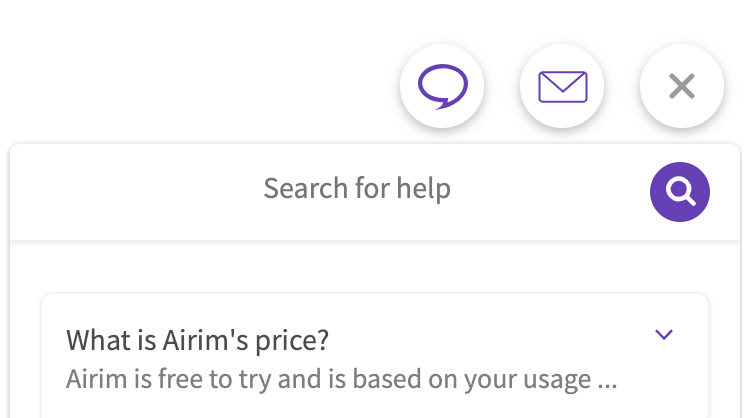 Airim automatically personalizes your customer self-help, so your visitors can get specific information about your services quickly on their own. Requires no coding, training or complex flows. Integrates seamlessly with your current helpdesk, knowledge base and chat software within minutes. Your users love figuring out solutions to their problems on their own. The quicker they get it, happier they are. Hence, we built Airim. It intelligently predicts your users' problems using machine learning and shows them answers in one click. It just magically works! Using Airim, 250+ enterprises have shortened their sales cycles, reduced user dropoffs and discovered customer needs accurately. 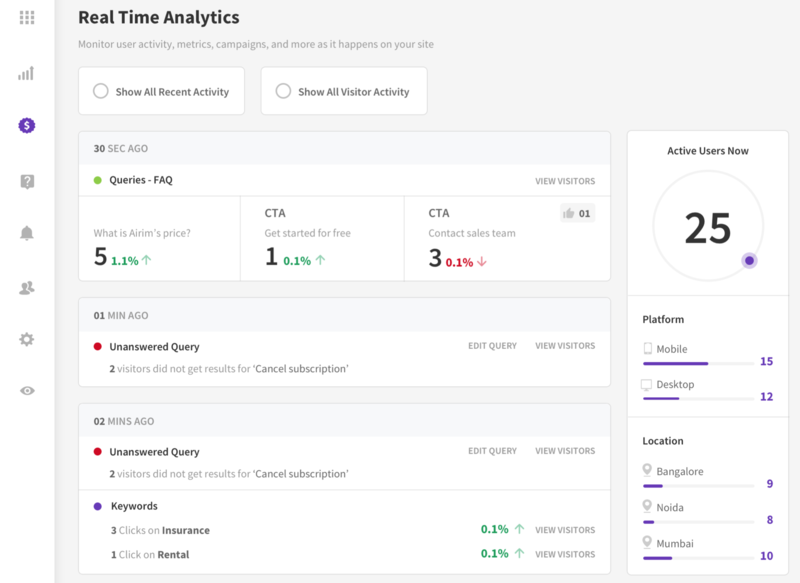 Your users now see only the FAQs relevant to them, based on parameters you decide - the page they are at, ad campaign they came from, location, device, signed in state and so much more. No coding required. Takes just seconds to set up. 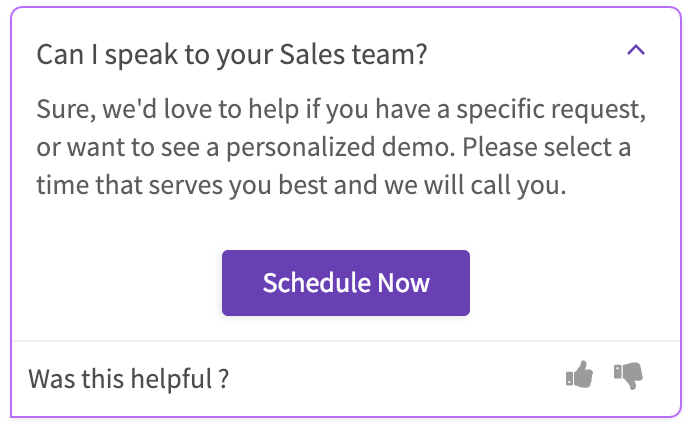 Your FAQs can come with a Call-To-Action (CTA) button to make users take next step quicker. About 35% users who view an FAQ, click the CTA as well. Now no more wandering through menus, submenus, headers or footers just to find one link. Open a live chat, show a contact form or open another application after users have interacted with Airim widget. Airim blends smoothly with 20+ helpdesk tools including Zendesk, TawkTo, Intercom and Freshdesk. 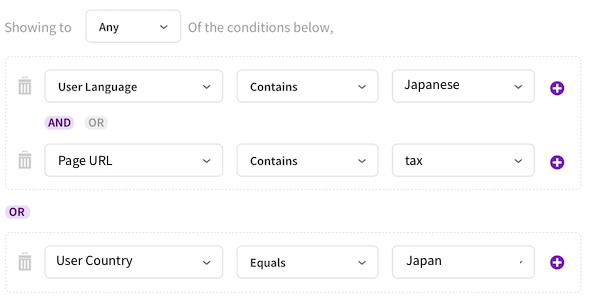 Get trending keywords your users are searching for, detailed content engagement analysis and actionable suggestions to improve your docs based on customer feedback. Drill data down by several pre-defined or custom variables, all in real time. 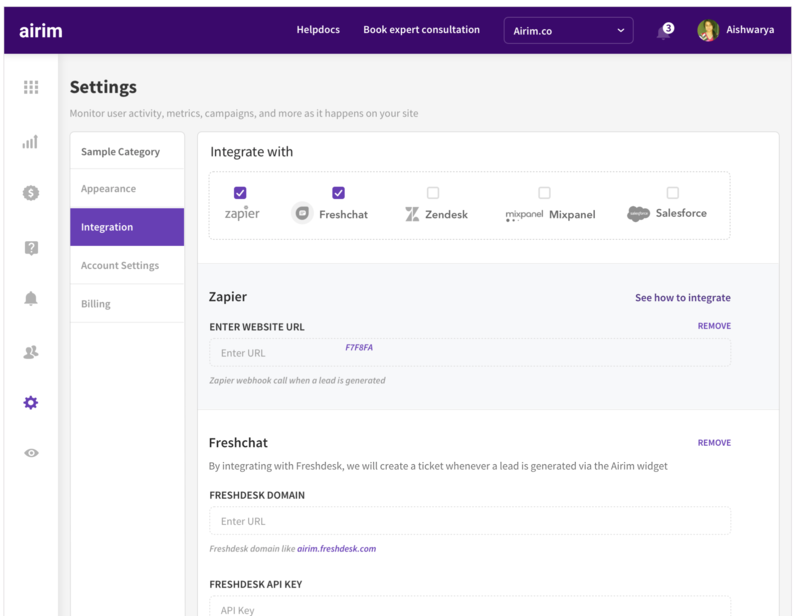 Airim takes seconds to import your FAQs from most popular knowledge base tools, including Zendesk, Intercom, Drift and Freshdesk. Easily flow data into your CRM, ticketing or analytics tools using one-click APIs, webhooks or Zapier. Airim has a modern and clean look. It fits aesthetically with our website. It is a great tool for educational institutes that want to provide quick information to their online visitors. Airim has helped us understand our leads better. 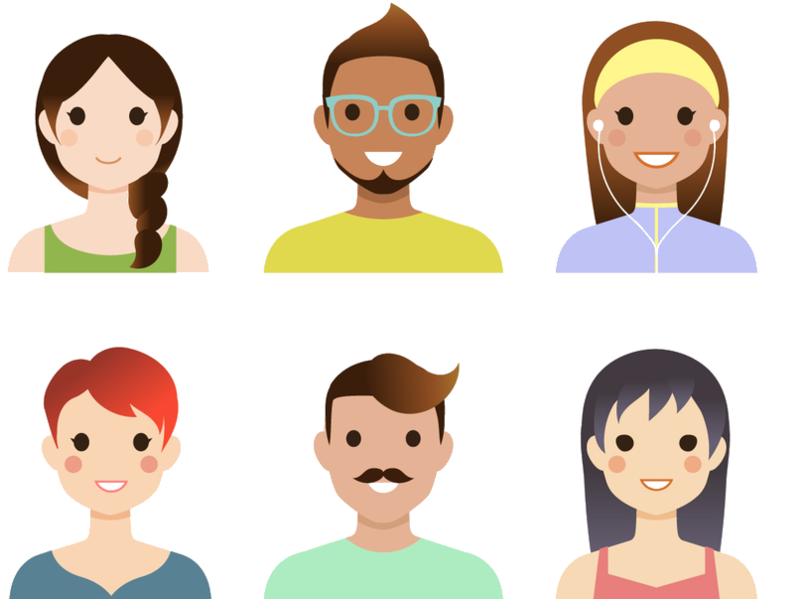 It gives us insights into the questions leads have, and content that they are looking for, which in turn helps us re-define our communication strategy from time-to-time. Just enter your URL to start. See value within minutes. No credit card required.